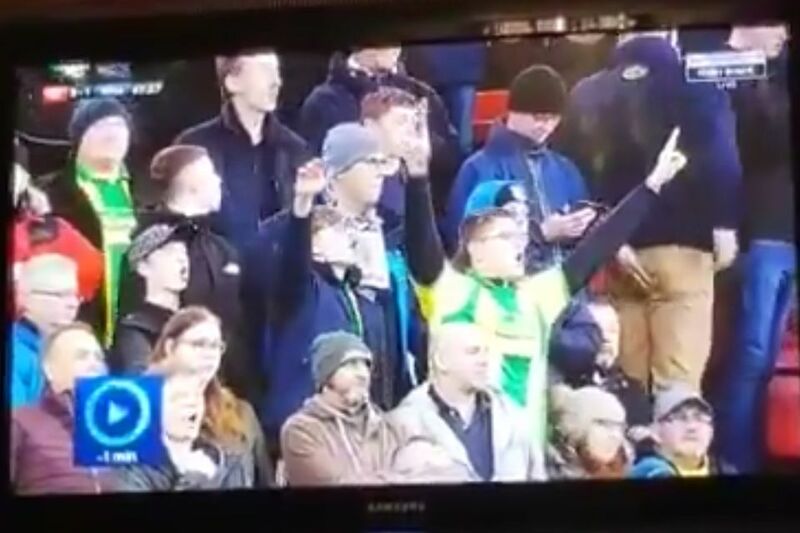 A West Brom fan appeared to rush off to the toilets at Bristol City, as seen in the stands on Sky Sports’ coverage of a clash between the two sides on Tuesday night. West Brom were beaten 3-2 by Bristol City in a Championship game at Ashton Gate, watched by a man seen in the clip wearing appropriately-coloured brown trousers. The visiting supporter was spied suddenly clutching his bottom while making his way back to his seat shortly after half-time, before turning around and hurriedly heading back down the stairs towards the exit. Keen-eyed viewers soon shared the video on social media, claiming the poor bloke had pooed his pants on live TV.